Acrow Bridge Formwork System ... helps shape bridges. Acrow Gulf Scaffolds has big plans for the future which entail new and upcoming product launches as well as opening up offices to tap into new markets in Africa and Europe. The company offers various formwork systems needed for high-rise buildings, infrastructure and power and water structures. Amongst its main systems used in infrastructure construction is the Acrow Bridge Formwork System, which employs standard elements to help shape and build bridges. “A key advantage of this system is that it can be removed and lowered using an Acrow lowering device. This helps save the costs of labour and machinery while dismantling and avoids risks,” says Khaled Amin El-hady, executive manager (UAE). Among the latest products launched by the company over the past year are the Alu-Deck System for slab formwork and Acrow Truss System, which consists of standard items and is mainly used as gantry for bridges crossing obstacles like traffic lanes, water courses and other bridges. It also plans to launch a heavy-duty tower. Acrow is headquartered in Egypt (Acrow Misr), where its manufacturing facilities are also located. El-hady ... planning to expand. 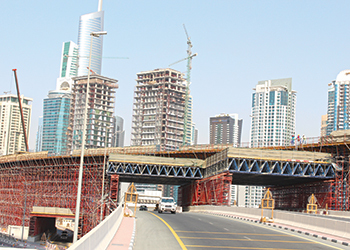 Acrow’s formwork systems are currently being used in the construction of several projects in the UAE. These include the infrastructure works involved in the Blue Waters Island Project, junctions upgrade at Airport Road, Dubai Parks access from Sheikh Zayed Road, Airport interchange and road network (E10), Abu Dhabi-Dubai Road E311 Package (A), development of a cycling and jogging track, and the directional ramp from Al Khail Road to Financial Centre Road. Several buildings are now taking shape in Jumeirah Village Circle (JVC) using these formwork solutions, including two 17-storey residential and commercial buildings rising above a three-level podium, two four-storey residential and commercial buildings and another four-storey residential building. 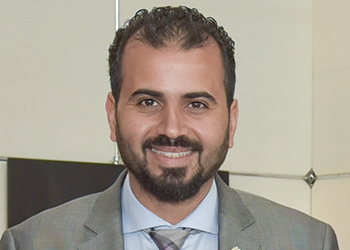 In addition, utility substations at the Nasr Full Field Development Project are being built using Acrow system, says El-hady. Acrow’s main markets comprise the infrastructure, oil and gas, residential and civil works sectors, with the company being active in many countries including Egypt, Saudi Arabia, Qatar, Kuwait, Oman, Bahrain, Romania, UAE, Iraq, Algeria, Morocco, Nigeria, Azerbaijan, and Jordan. Commenting on future plans, El-hady says Acrow is planning to expand not only in the UAE but also in the Middle East and Africa (Mena) area. Recently, Acrow opened a new branch in Nigeria to enter the promising African market and a new branch in Romania crossing into the European market as well. With nearly 35 years of experience, Acrow is considered to be one of the largest formwork companies in the Mena region.